Available now at Park's Jaguar Ayr and Inverness. 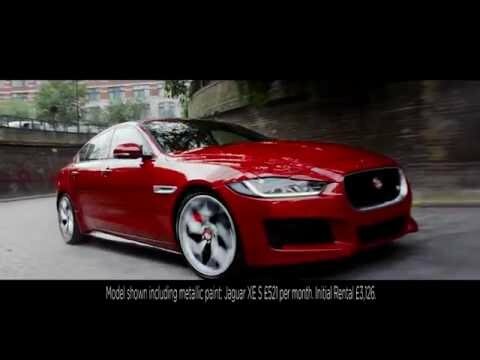 The Jaguar XE is the most advanced, efficient and stylishly refined sports saloon that Jaguar has ever launched. This mid-sized premium sports car is the first of its kind to be produced with Jaguar's innovative advanced aluminium architecture, changing the foundations of how Jaguars are built forever. This unique architecture allows for the creation of a Jaguar with no compromises in its character, design, dynamics and the performance and luxury that the Jaguar brand is renowned for. This high strength aluminium structure not only gives the XE its outstanding design but also allows for increased levels of ride and handling. The stiff shell enhances the cars aptitude for safety, exceeding global safety standards and it offers the highest levels of crash safety and occupant protection. Fuel efficiency is also maximised and emissions are lowered thanks to the lightweight and aerodynamic qualities of the aluminium structure, while the aluminium materials used come largely from recycled materials, severely reducing the cars carbon footprint. A range of highly advanced engines options are available to power the Jaguar XE and have all been built at the Jaguar factory in the UK. These include the AJ20-D 240PS Ingenium twin turbo diesel engine, delivering V6 power with I4 economy for AWD Automatic models, along with the AJ20-P Ingenium 200PS and 250PS petrol engines to replace the previous I4 petrol (GTDI). The S model comes with a 380PS engine as standard. These engines have been designed for different driving styles and driver requirements providing an ideal balance between thrilling driveability and the latest innovations in fuel efficiency. The interior technology of the Jaguar XE introduces an entire suite of cutting edge systems from driver aids to entertainment systems. The innovative InControl infotainment systems has been implemented into an 8-inch Touch Screen ensuring ease of use and includes voice control plain speech. The advanced technology also focuses around innovative driver-assistance systems which have been designed to provide drivers with the most convenient and advanced driving experience. This extraordinary technology includes Jaguar's industry-first laser Head-Up Display which projects images of driver information such as speed and navigation onto the windscreen in a high colour contrasting display in maximum clarity, ensuring minimal distraction, along with the inclusion of the Gesture Tailgate and a 12.2” TFT Cluster option with InControl Touch Pro. The engineering technologies of the Jaguar XE have produced a car with unbelievable driving dynamics. Integral link rear suspension and double wishbone front suspension give the XE a similar level of agility and steering feel as Jaguar's flagship F-Type Coupé sports car. The latest generation Electric Power Assisted Steering takes steering feel to the next levelthanks to the latest software algorithms allowing for a far greater scope for tuning. This steering technology also has the capabilities to recognise different Drive Control settings and can aid drivers with a number of different features including Active Safety, Forward Vehicle Guidance, and Forward Traffic Detection. In helping with the cars traction Jaguar have created an industry first 'All Surface Progress Control' system which can electronically sense even tiny amounts of slip on the road and alter the cars performance by almost instantly gaining traction. The system has been designed to aid drivers by delivering the very best traction even in the most slippery conditions, avoiding skidding, all without the driver even having to use the pedals.